Instagram is the fastest growing social media platform, with 400 million monthly active users worldwide, half of them under 25. While some of these people use the app as a personal tool, many also use it to build their creative business endeavours, from food and drink to fashion and lifestyle. 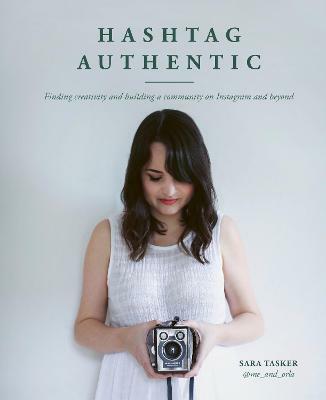 Sara Tasker has tapped into this as an Instagram coach, an iPhoneographer and social media influencer. Her chronicle of authentic everyday life and her mindful Me and Orla blog has developed into a business in which she allows access to free insta-tips, alongside some hugely popular paid for e-courses for independent creatives. One of her followers, Emma Mitchell a jewellery designer and artist, took her Instagram following (silverpebble2) from several hundred to 87k and gained a book commission within a year. Sara Tasker gave up her job as a speech therapist as her Instagram career began to take off. When she was pregnant with baby Orla she re-activated her dormant Instagram account and it quickly changed her life. Her account went from 90 followers to over 35k followers in three months and she has never. Sara is now a key influencer in the areas of Instagram coaching, iPhonegraphy, lifestyle blogging and writing. She distributes free Insta-tips via her blog and also runs hugely popular Insta-magic e-courses that sell out rapidly online, as well as a series of Hashtag Authentic podcasts for creatives.